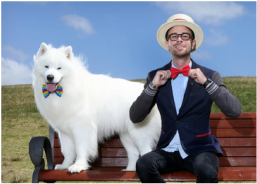 Ahzu Samoyeds is an established, registered, home-based kennel in country New South Wales. 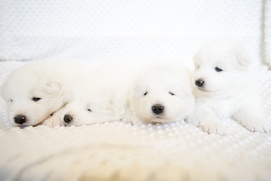 We are dedicated to breeding healthy, happy, sound, beautiful dogs with the amazing temperament that Samoyeds are famous for. Our puppies are bred to excel in both the show ring and sporting arena, but most importantly, to be a part of your family, like their ancestors have for thousands of years before them. We are active members of the NSW Samoyed Club Inc. and participate in a number of community events each year with our dogs. including the Variety and Starlight Special Childrens Christmas Parties and Westfield Santa Parades. We welcome you to like our Facebook page, we endeavour to keep this up to date with show results, photos, details on our next events and any litter announcements. Puppy information and puppy enquiry form. Media appearances and community work. Useful resources for Samoyed owners and breeders.